Enjoy an overnight stay on the estate, with easy access to tours, activities, and more. Since its inception, Biltmore has always cherished a laden table. In the Vanderbilts’ day, a thriving market garden supplied fresh produce for their meals. Their farm and dairy products were the finest in the region and the name Biltmore became synonymous with quality and excellence. Arrive early and head to Biltmore House & Gardens. Try a pastry and a cup of fair-trade coffee at the Bake Shop in the Stable Courtyard. Purchase our Audio Guide to Biltmore House, which brings alive the fascinating story of America’s largest home, including the kitchens and what was prepared in them, as well as the various dining and entertaining locations throughout the house. The Upstairs-Downstairs Tour offers a look at the original day-to-day operations of Biltmore House, where you'll learn about the workings of this technologically advanced home plus more about the people who created the estate and lived there. Savor lunch in the Stable Café, where the hearty fare and friendly ambience make it a favorite stop after visiting Biltmore House and Gardens. Marvel at the transformation of a 19th–century stable into a restaurant where guests dine in historic box stalls that have become booths. Cedric's Tavern in Antler Hill Village is another delicious option for lunch. Enjoy English-style pub fare and Cedric's very own beer, or a local brew, as you enjoy views of the Village Green. 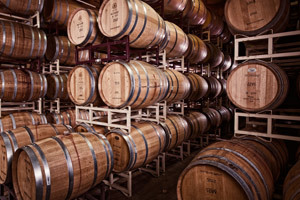 Next up, visit our Winery for a free wine tasting. Consider taking the Red Wine & Chocolate Seminar, or the Wine & Cheese Hour, to round out your Biltmore Wine experience. After your exciting first day, spend a relaxing evening at The Inn or Village Hotel. For dinner at The Inn, enjoy appetizers on the terrace with lovely vistas, then head to The Inn’s Dining Room for elegant dining specializing in regional fare. 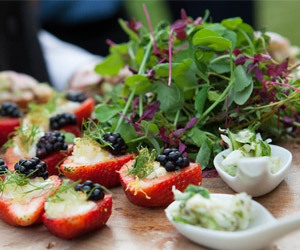 At Village Hotel, head to Village Social, where the small plate concept focuses on sustainable seafood with local and regional farm and garden products in a relaxed atmosphere. Indulge in a delicious breakfast at The Inn or Village Hotel. 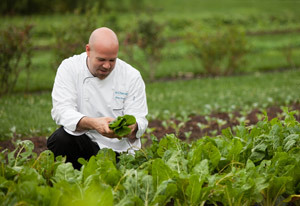 Our 8,000-acre grounds have a rich field-to-table history. The Vine to Wine Tour takes you to our vineyards to learn the fascinating story of Biltmore wines, or during September, the West Range Tour offers a close-up look at our field-to-table efforts. Afterwards, The Inn beckons you for Afternoon Tea, complete with traditional English finger sandwiches, scones, fruit breads, and tea pastries. Or get a tasty on-the-go snack at The Kitchen at Village Hotel. 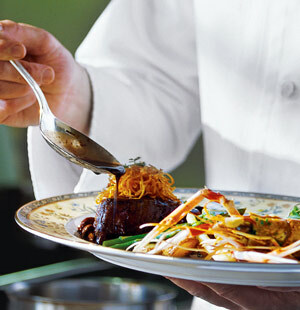 Overnight guests can enjoy dining at either property; but reservations are required for any Inn dining. Explore the rest of Antler Hill Village, and pick up some special treats to take home. Relax on the Village Green, and enjoy the exhibition in The Biltmore Legacy. Wrap up your second day with dinner at the Bistro for dishes that include farmed mountain trout, locally sourced meats, farmstead cheeses, and regional honey. Using fresh ingredients from local producers, including our own Production Garden, the menu at the Bistro changes to highlight the best of what is currently in season.